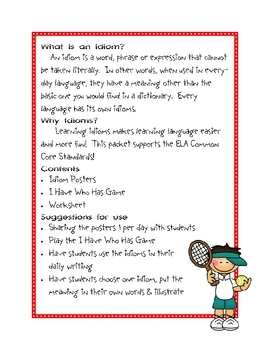 Your students will have a great time learning the nuances of the Engish language with this Idioms Packet while you support the new ELA Common Core Standards in your classroom! 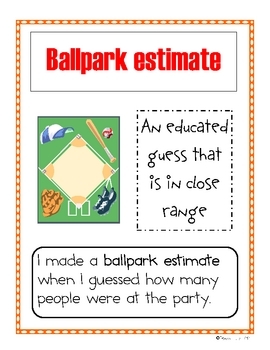 The posters are great to share and post each day. 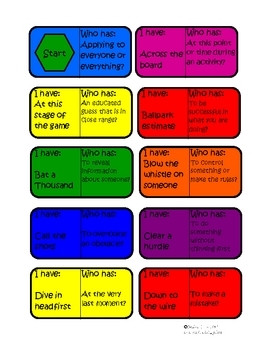 Play the "I Have Who Has" game as a whole group or during small groups/centers. 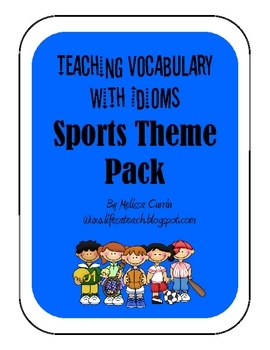 This pack includes 17 idiom posters, an "I Have Who Has" game and one worksheet. Enjoy! !